The DAA Mentoring Program reflects DAA's commitment to members and the professional development of analytics professionals. The program is open to members only. Members of DAA's Women in Analytics community strongly advocated for a mentoring program and worked together to determine what a program would look like. Each mentoring relationship will be required to include at least one woman in either role to uphold DAA’s standards of diversity and inclusion connected to the Women in Analytics initiative. Complete your profile. Make sure your contact information is up to date, add a recent professional profile picture, expand on your bio, and import your education and job history information from LinkedIn. The bio on your member profile will be the same across your mentor and/or mentee profiles. Profile ready? Move on to step 2! Make selections for each of the demographics to set your preferences. Demographics include: gender, career stage, start/end date you are able to participate in the program, etc. All sections must be filled out. You can update this information at any time. 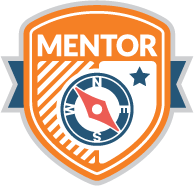 In order to begin a mentoring relationship you must first complete enrollment. Congratulations! You're all set. You completed steps 1-3 and are now ready for the best part: Let the mentoring begin! Do one search or multiple searches using the Mentoring Program Directory to find your best match. Mentees, please only work with one mentor at a time and feel free to participate as a mentee as many times as you want. From the search results, click on the member's name that you're interested in establishing a connection with to view their profile. Check out their bio and history. If you think they would be a good match, click the Send Mentor/Mentee Request button under their profile picture (shown below). This button allows you to officially request a connection and include more detail about your goals in the program. If you don't want to request a connection with this person, simply click the back button to return to your previous search results and peruse other profiles. Please note that mentees are expected to drive the relationship by scheduling meetings, setting the agenda each time, and having clear goals to work through with the mentor. Learn more about the program from the FAQs. Use the mentoring resources to start your relationship off right and get the most benefit from this program. These will help with goal setting and scheduling meetings. 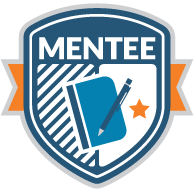 Review current or click to complete mentoring relationships in your mentor or mentee profile after at least six months of meeting. Earn CWA professional development units for participating! More information on how to earn PDUs and what activities are eligible can be found here. Please contact mentoring@digitalanalyticsassociation.org with questions about this program.